Infuse your living space with peace and good vibrations with these enchanting Mini Purification Gardens! What I love about plants is that they add so much color, life, and energy to any space, bringing with them abundant energies of healing, peace, love, and joy. They also clear out the room and purify the air, making it easier for you to breathe. 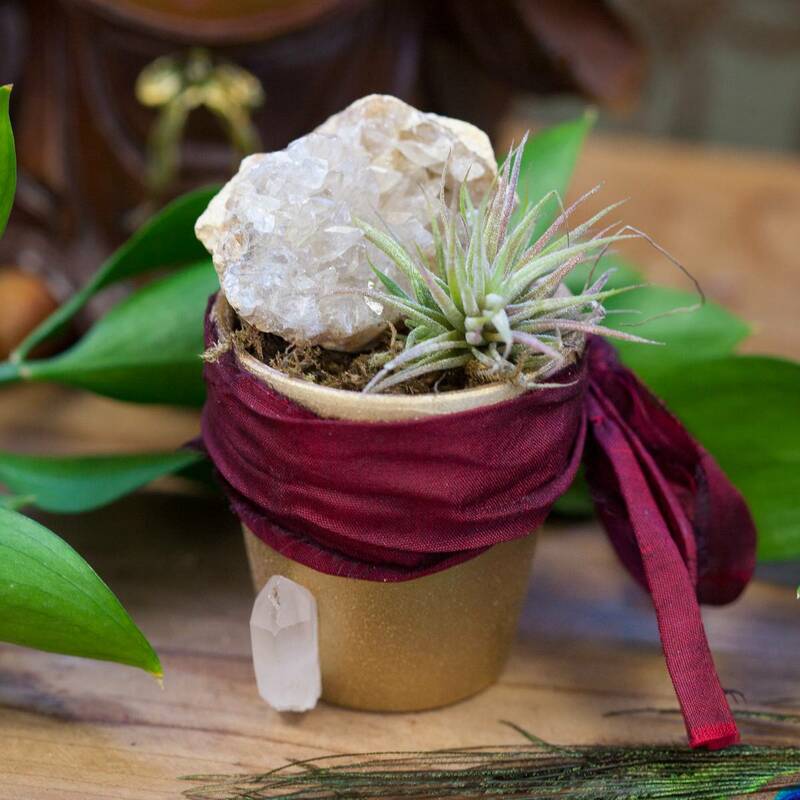 These Mini Purification Gardens make perfect additions to any workspace, creative room, altar, patio – or any other place that could use some natural healing and love. 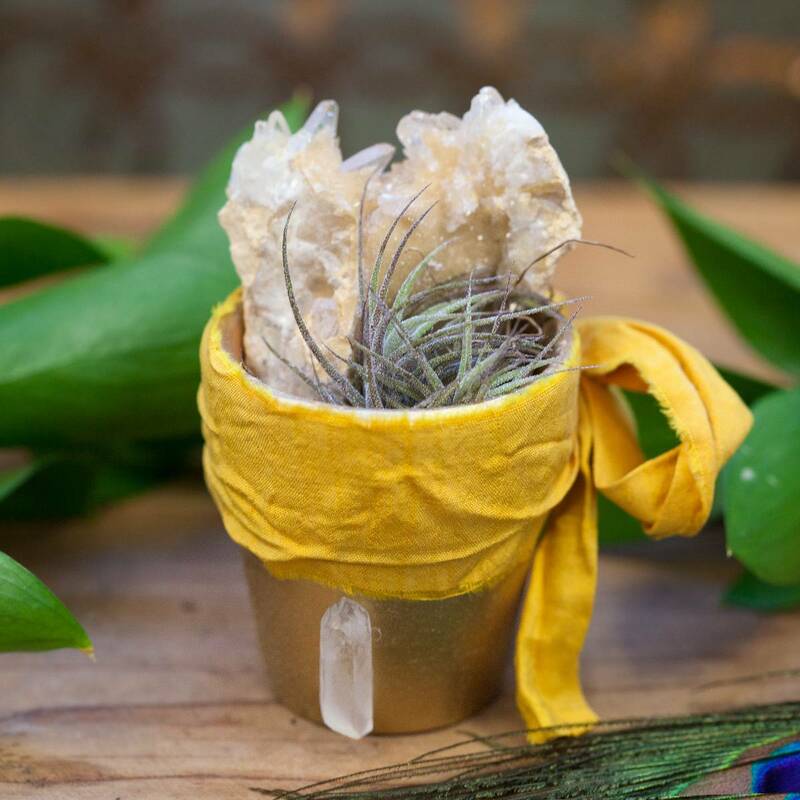 Filled with moss, yellow dogtooth calcite geodes, and a T. Ionantha air plant, these potted gardens will enhance the beauty of your sacred space and add some enchantment to your life. The T. Ionantha air plant is such a beautiful starter plant for anyone new to air plants. It features several layers of silvery-green leaves and a round-bottom shape. When it blooms, it yields one of the most beautiful indigo-violet colored flowers; the top of the plant eventually transforms into a bright red. These plants are low maintenance as it requires misting about 2-3 times a week. It thrives in warm, humid conditions and indirect sunlight as not to dry out its tips. You do not need to soak the T. Ionantha; a simple misting twice a week will do the trick. Be sure to let them dry on their own or simply take a towel to dab off the extra moisture. Sprinkled with yellow dogtooth calcite geodes, these plants take on extraterrestrial proportions! Yellow dogtooth calcite, also known as stellar beam calcite, is considered an ascension stone. 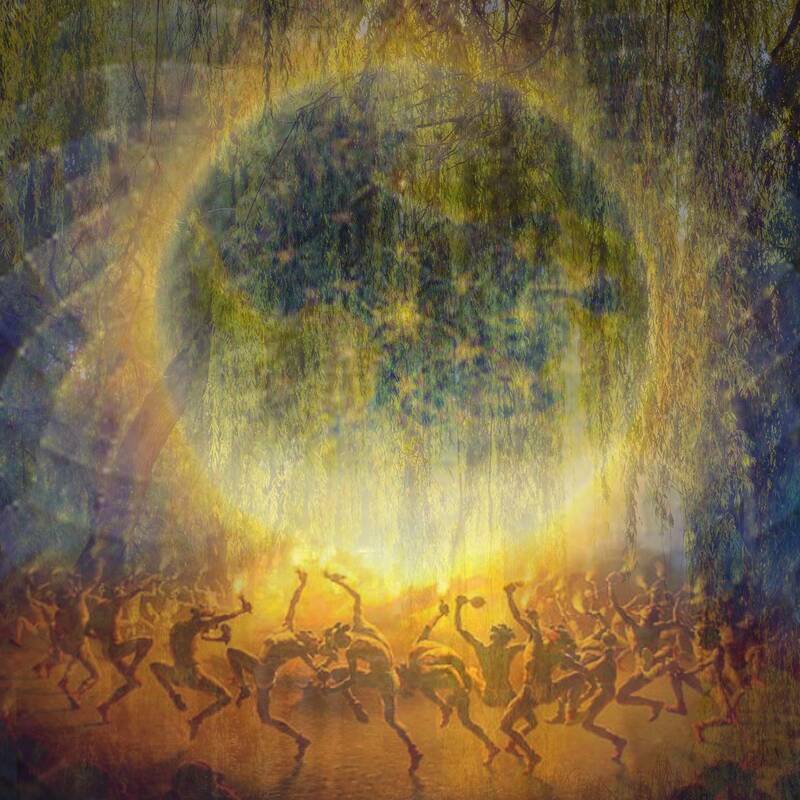 Its essence is spiritual in nature and helps facilitate a deeper connection with the Divine. The energy of yellow dogtooth calcite is calming, and it brings great peace and harmony during meditation. 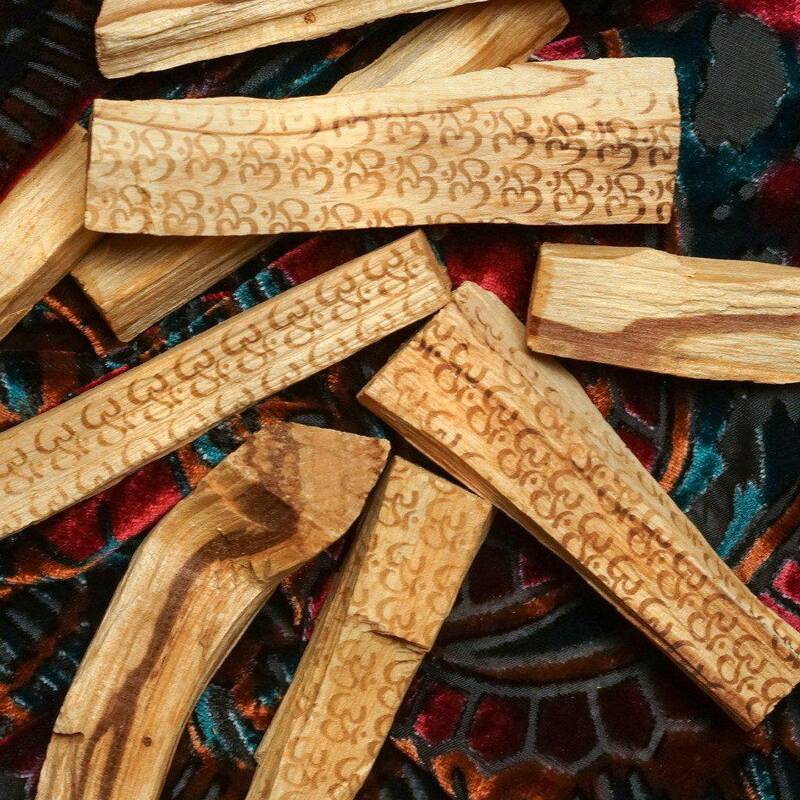 As an added bonus, it helps draw you into a deep space of relaxation, which leads to a deep and peaceful sleep. 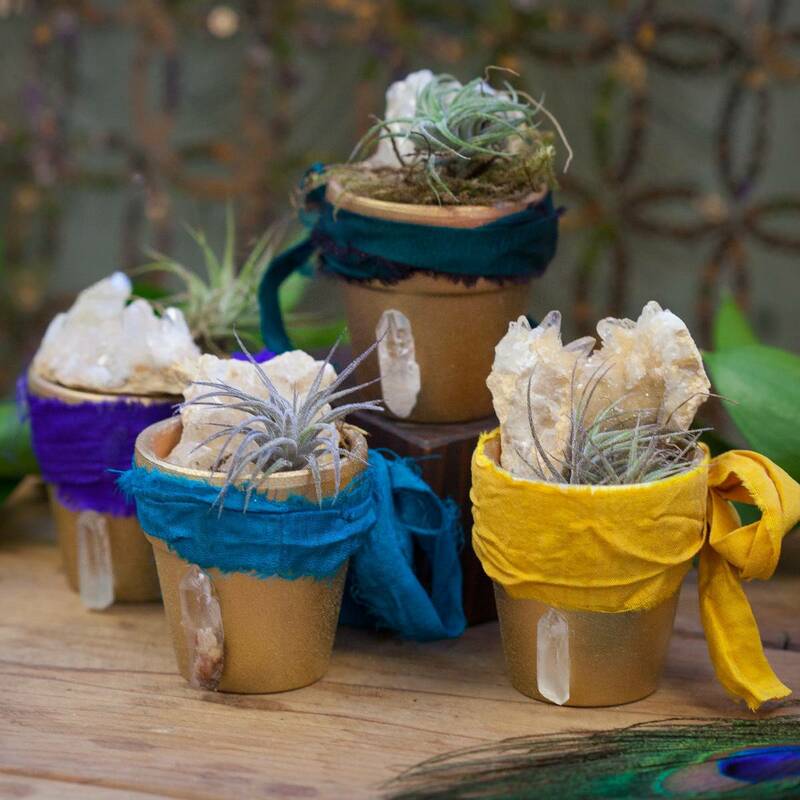 Draped with moss, these Mini Purification Gardens bring all the enchantment of the Universe right to your living, work, and creative spaces. 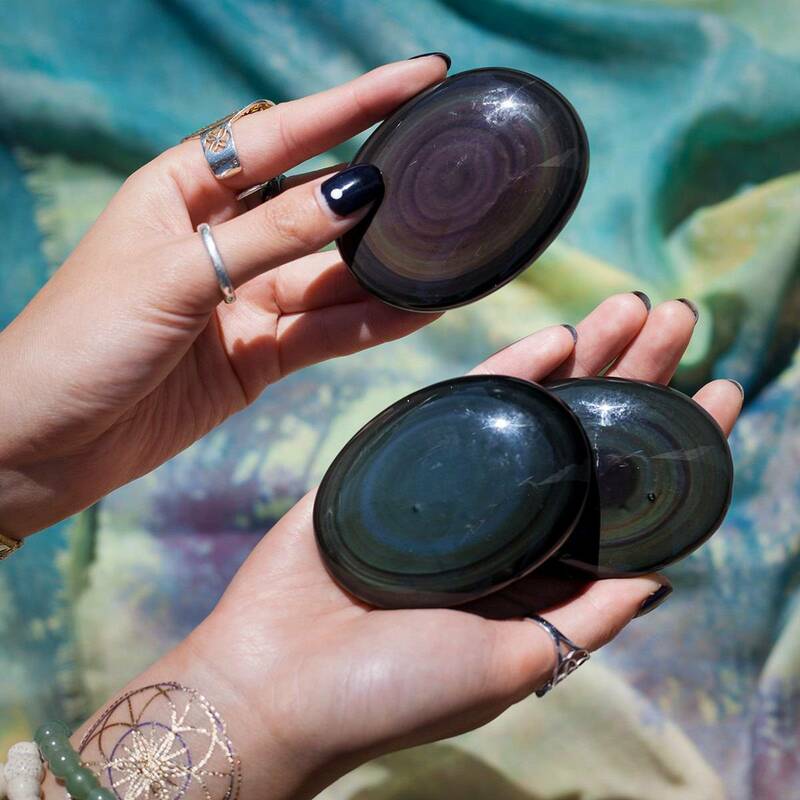 Place yours on your altar or anywhere in your home to channel and connect to the expansive energy all around you, tapping into the pure, raw energy of All That Is! This listing is for one (1) Mini Purification Garden. I have two sizes to offer you: small (about 1.5-2.5”) and medium (about 2.5-3.5”). Yours will arrive lovingly parceled for your enjoyment and delight.